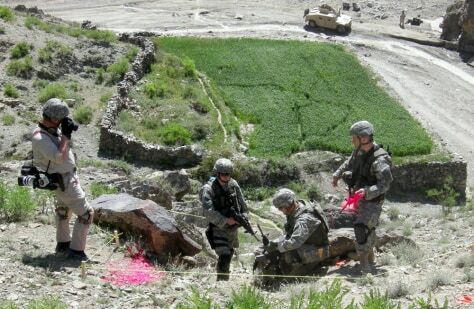 This April 2006 photo released by the Army Criminal Investigation Command in March 2007 shows a military re-enactment of the incident that took the life of Spc. Pat Tillman in eastern Afghanistan. This frame shows investigators at the scene of Tillman's death, with a Humvee in the background to show the approximate area near where his fellow Rangers fired at him.